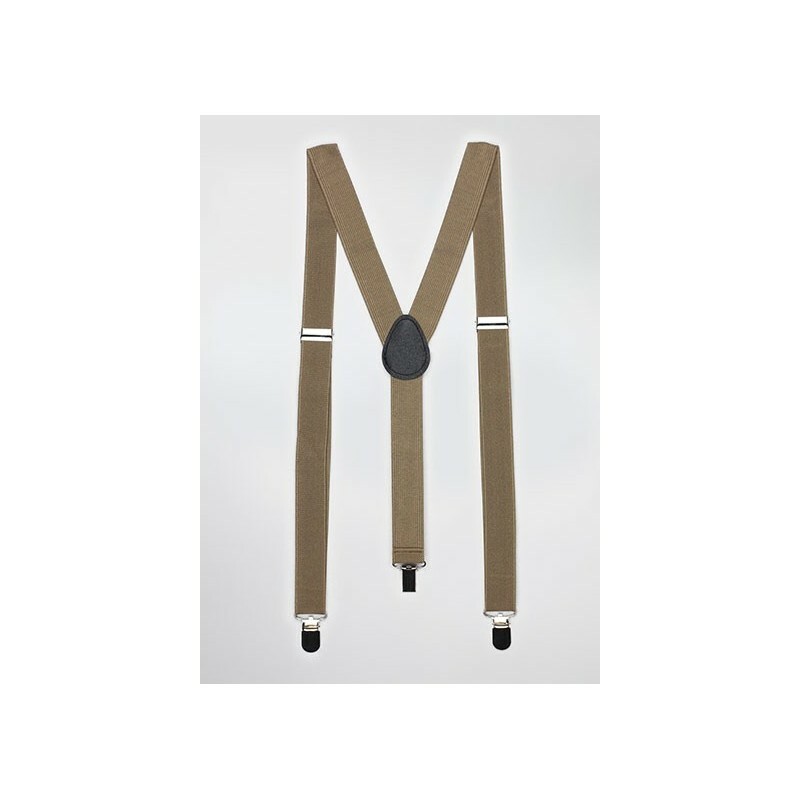 This stylish suspender set in light brown was made with adjustable elastic band measuring 1 inch in width. 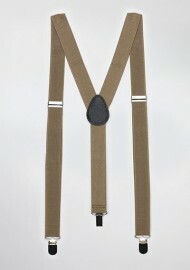 A modern suspender set in a color that looks excellent with blue, white, tan, ivory, and green. Pair with either matching bow tie or ties in navy, dark hunter green, or ivory. For matching ties and other men's accessories in this color please find the links below.